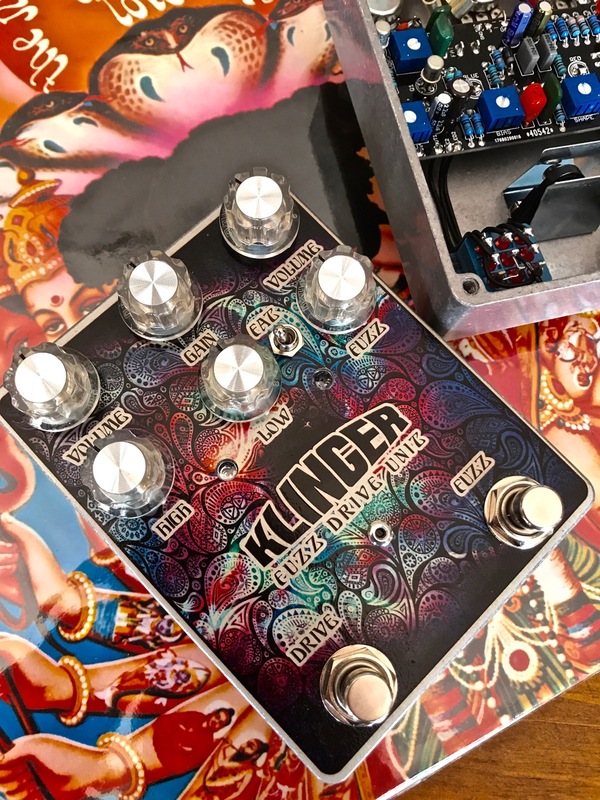 Klinger Fuzz Drive unit is 2 independent pedals in one. 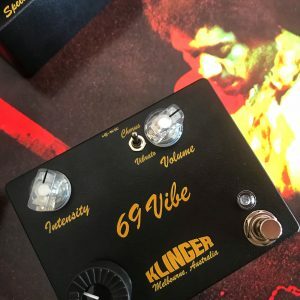 A medium drive and very transparent overdrive section with controls for bass, high roll off and internal trim to shape mids….. Plus a very tweak friendly fuzz section with internal control over presence, bias, input saturation and the normal Fuzz, Volume knobs. The fat switch on the front is for thin sounding pickups that need a tiny beef up or cut it for dark neck pickups and humbuckers that are muddy with fuzz. The Fuzz is set around NOS Tin can silicon transistors used in the vintage fuzzes of the late 60’s early 70’s. 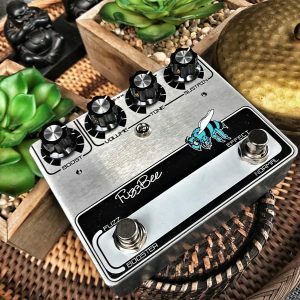 The idea of this pedal is to be the perfect balance between clean amp, overdrive and fuzz. Of coarse it doesn’t just have to be used as a pedal for clean amps. The overdrive section backs of to become a nice boost that can add flavour to the fuzz section or to a driven amp. 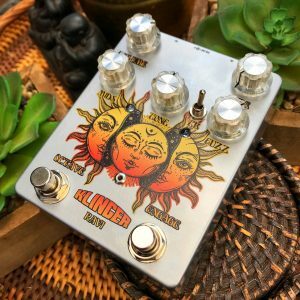 It is a very open sounding drive thats perfect for adding a nice harmonically rich sound to any setup. 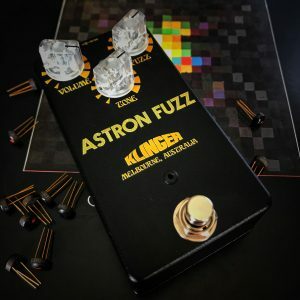 The fuzz can do anything from clean to high gain fuzz madness.